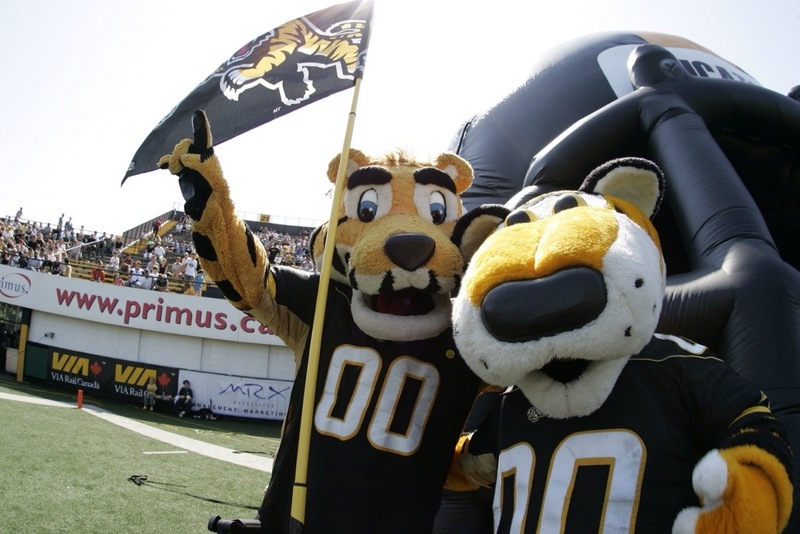 After years of suffering from through Gliebermans, Watters, Enemies of Lansdowne, and the painstakingly drawn out CBA negotiations between CFL players and owners, on Saturday night Ottawa finally resumed it’s rightful place in the CFL. 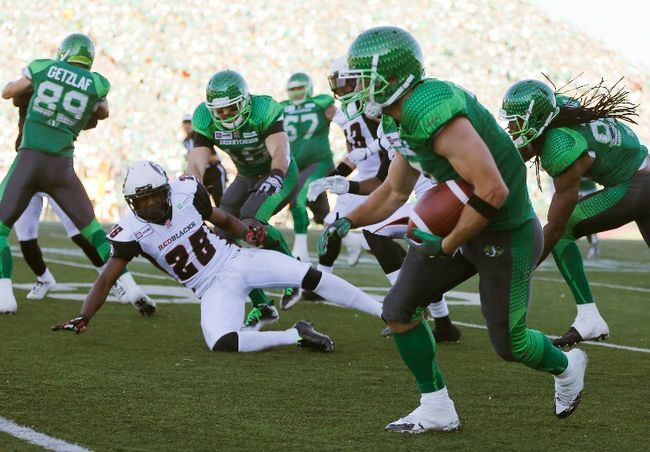 The Redblacks traveled to Regina to play a home game in their road uniforms. 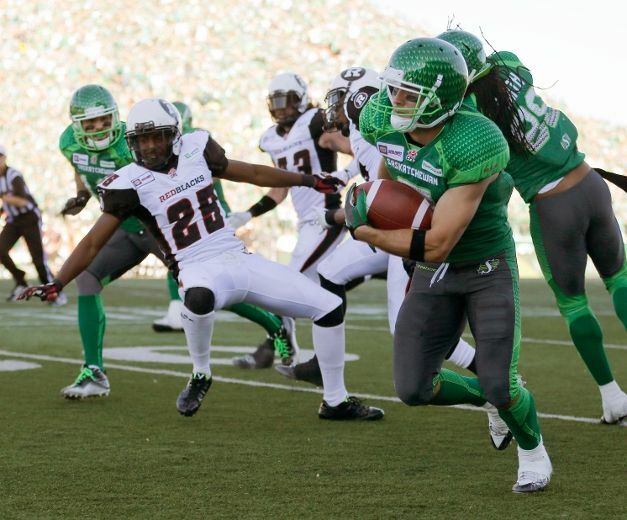 Here are our highlights, in case you missed any of the action. 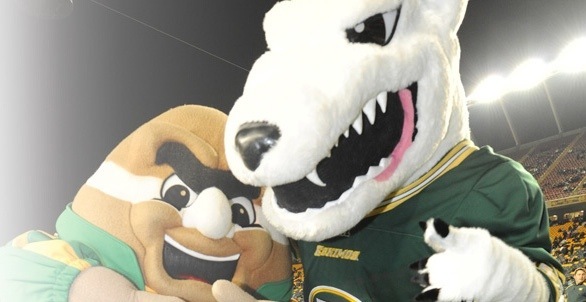 – There was a mascot showdown just before the opening kick between Redblacks mascot and Ottawa legend Big Joe Mufferaw and a rodent known as Gainer, who apparently represents the local Regina team. 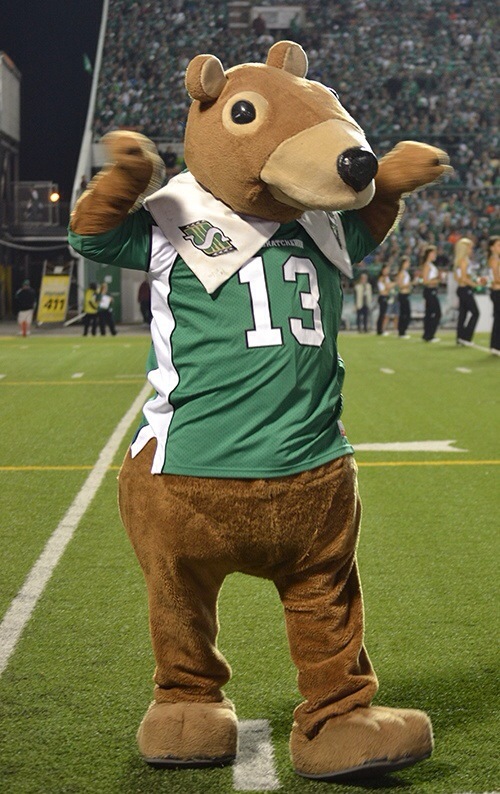 It’s interesting to note that after said showdown, Gainer was not seen again and Big Joe’s axe looked a little notched (allegedly). 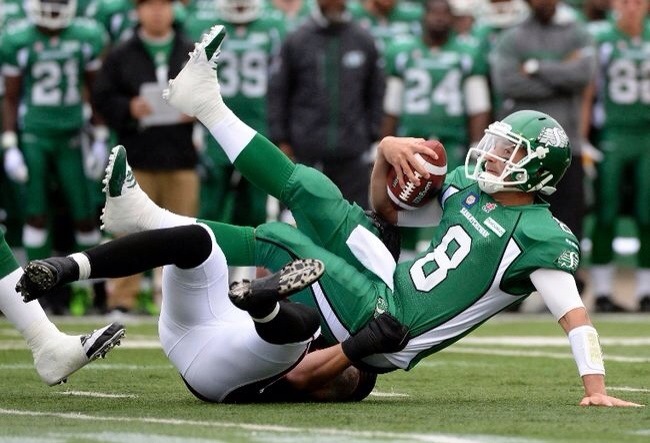 – Tons of empty seats in Legoland… I mean Mosaic stadium. So much for the GREENWHITES having the most die-hard fans in the league. Attendance was later announced as 13,014, but I doubt it. – You couldn’t have written a better opening 2 minutes and 4 plays for the franchise’s history. 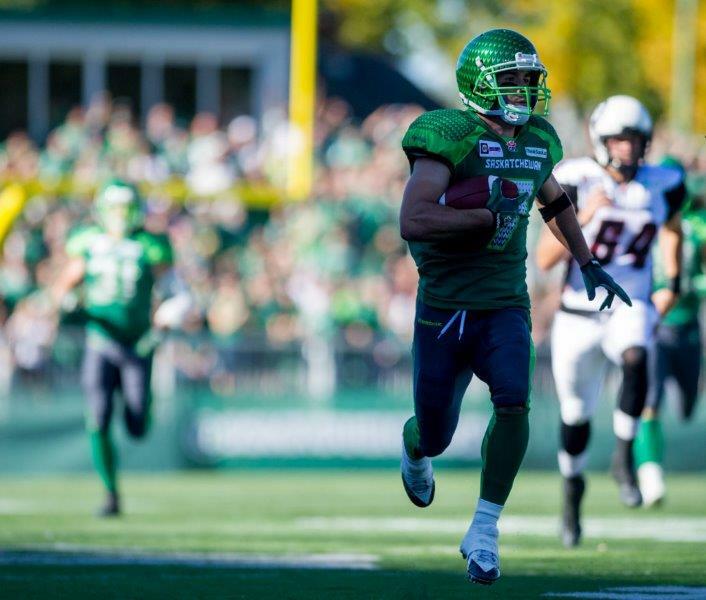 It started off with a Justin Phillips sack tackle of QB Tino Sunseri, continued with a forced incompletion, punctuated by a 76-yard punt return by rookie Jamill Smith to the Green Riders 2 yard line, before being finished off by a Chevon Walker rushing TD. 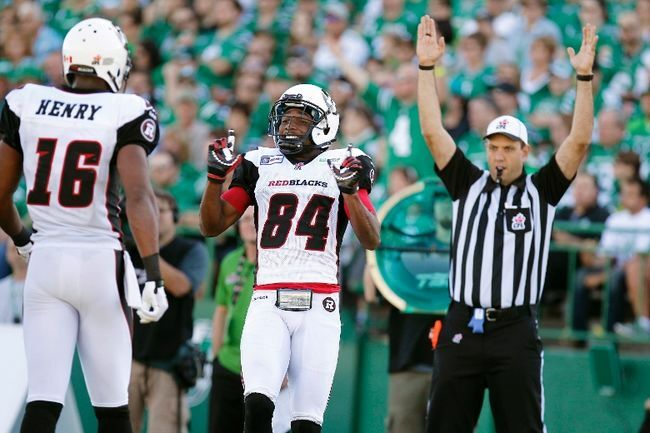 Though they lost on the scoreboard, the Redblacks can hold their heads high. They got a number of strong performances from their starters, Burris and Walker looked sharp and the Henry² connection figures to be potent. 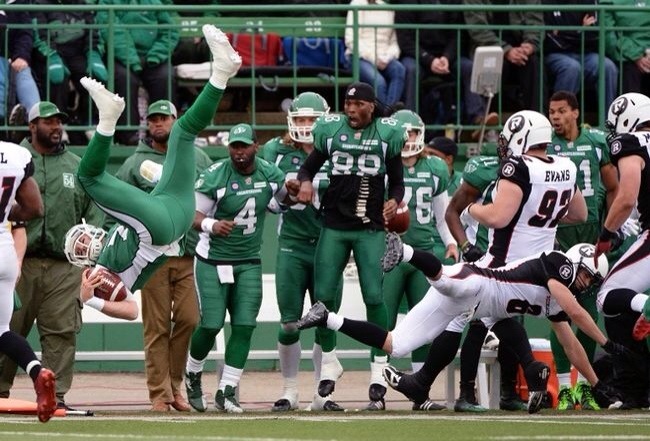 Also, Jamill Smith demonstrated great speed returning punts. 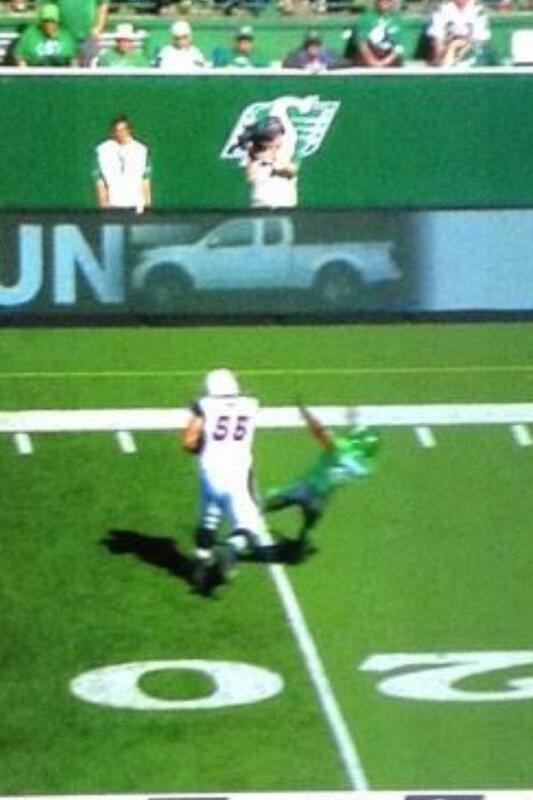 On the downside, punt coverage was suspect. 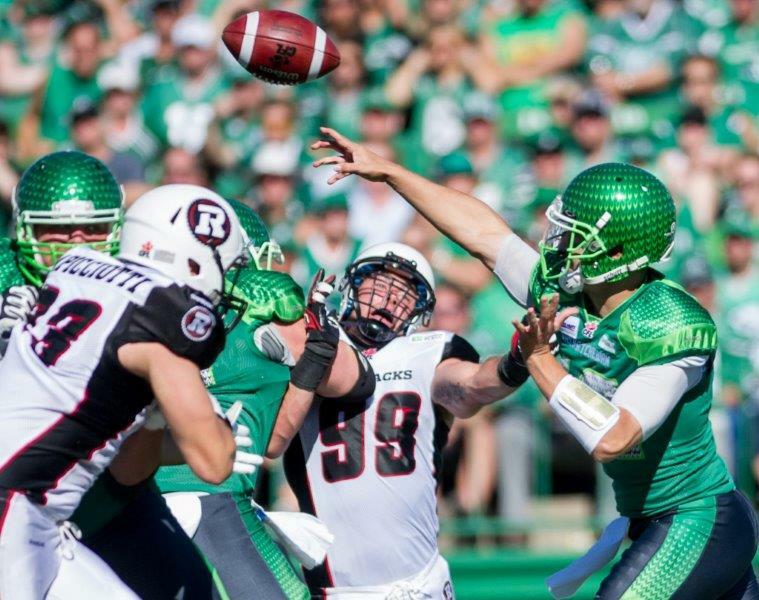 The Redblacks need to tighten up their tackling or they will be gashed all season long. None of the backup QBs really shined, as they all made numerous overthrows, though DeMarco did have one scoring drive. 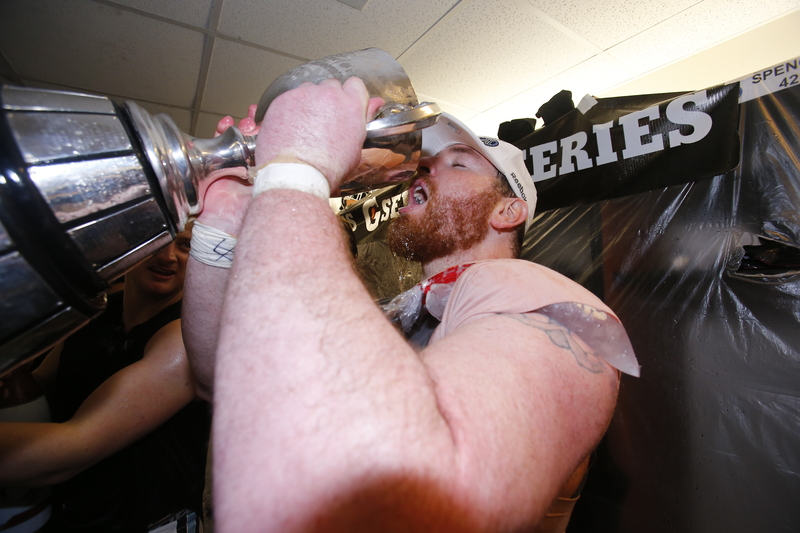 All in all, it was an incredible night for Ottawa and a history one for the league. 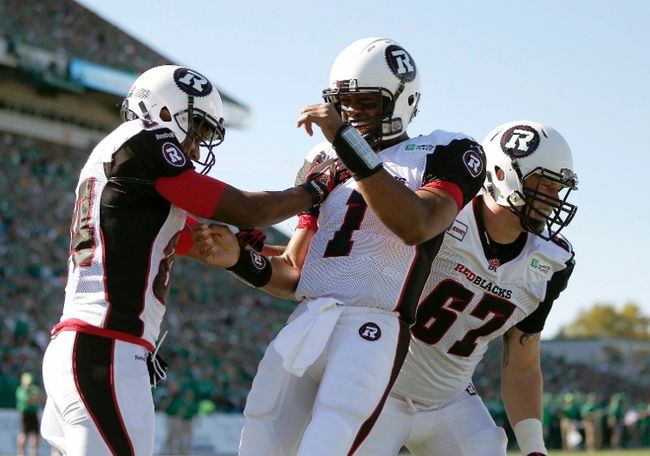 The Redblacks showed that Ottawa is back and that we won’t be pushed around. RR: How long have you and Lucas Haneman known each other and been making music together? NC: I have known Lucas since Grade 7. We both grew up in Kanata (west end of Ottawa) and have been friends ever since. He is the musician while I am the videographer, essentially, I am the eyes and he is the ears. 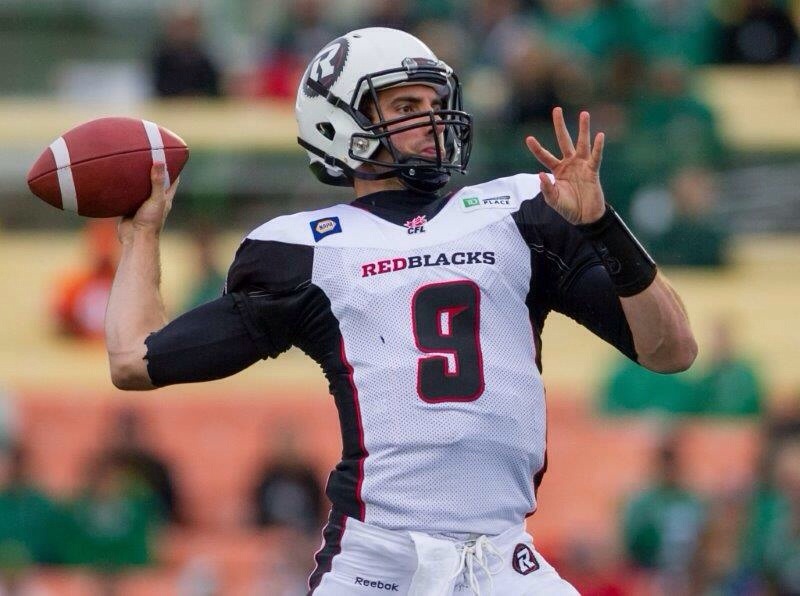 Believe it or not, all of the music that you hear in the RedBlacks theme music is Lucas! I guided him along what I was hoping to achieve but his talent carried it through to where it is now. He never ceases to amaze me! From start to finish how long did it take you guys to put the whole thing together? From start to finish, it took about a day and a half to come up with the musical aspect – Lucas is that talented! Once we established that we wanted to keep it simple enough for anyone to hum along to (and have a hint of 80s rock in there for good measure! – think Motley Crue’s “Kickstart My Heart”) we made quick work with the video. The visual aspect took half a day to shoot but two or three solid days to get the edit where I felt it was appealing enough to release on Youtube. So, all in, I would say five days of total time to complete it. 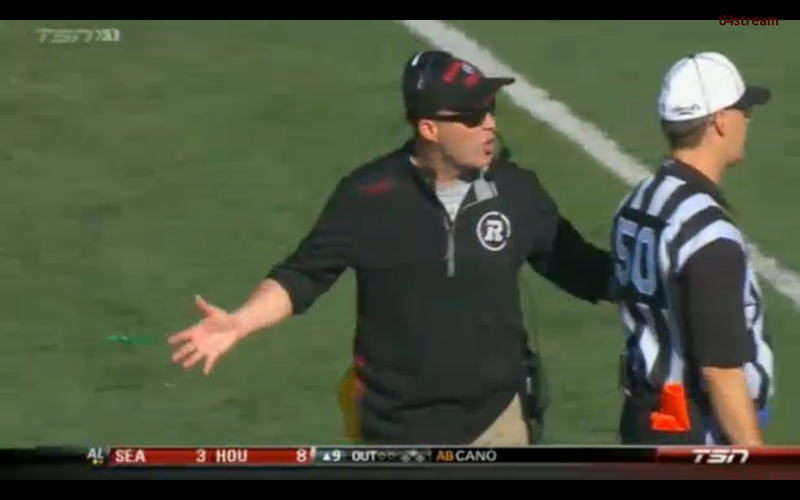 Were you surprised at how quickly the Redblacks and R Nation embraced your song? In the age of social media, it didn’t surprise me that we would get a few responses for the theme. But the amount of POSITIVE feedback that we have received is ludicrous, especially at this time of year when football is an afterthought for most people focused on hockey. We couldn’t have gotten far without support; R Nation rocks! Has there been any talk of your song being used at home games next season, and if so what would it mean to you guys? 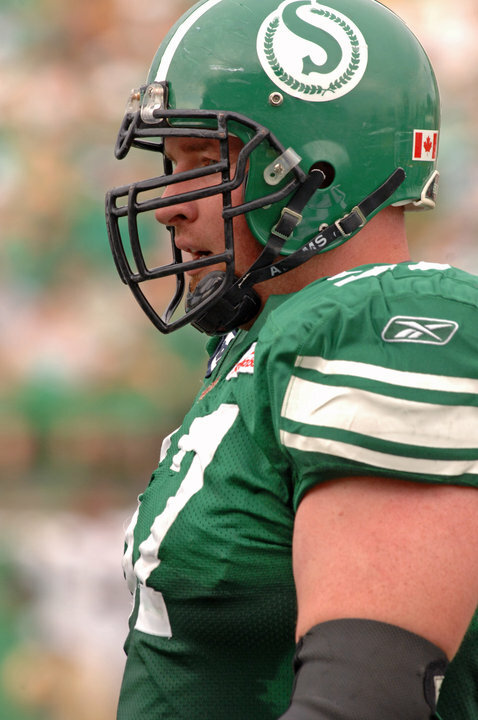 When I initially thought of the idea for creating the tune, my end goal was to have it used by the team for when the players come out onto the field during home games. 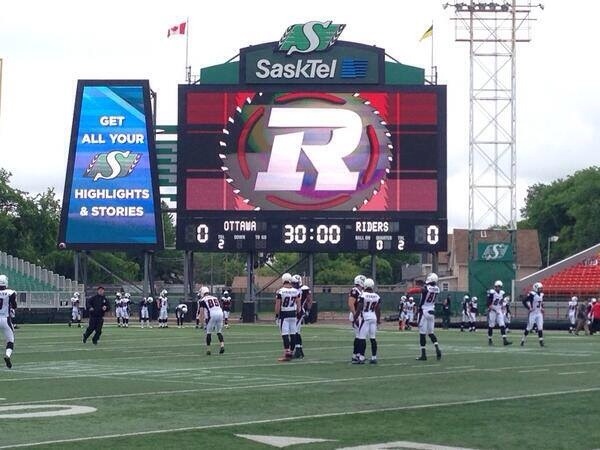 If it were to become the ‘official’ theme of the Redblacks, that would be amazing! It would mean a lot to both Lucas and myself as we have wanted to contribute in some small way to the Ottawa community. If it gets people jacked, excited and/or pumped, we have done our job! 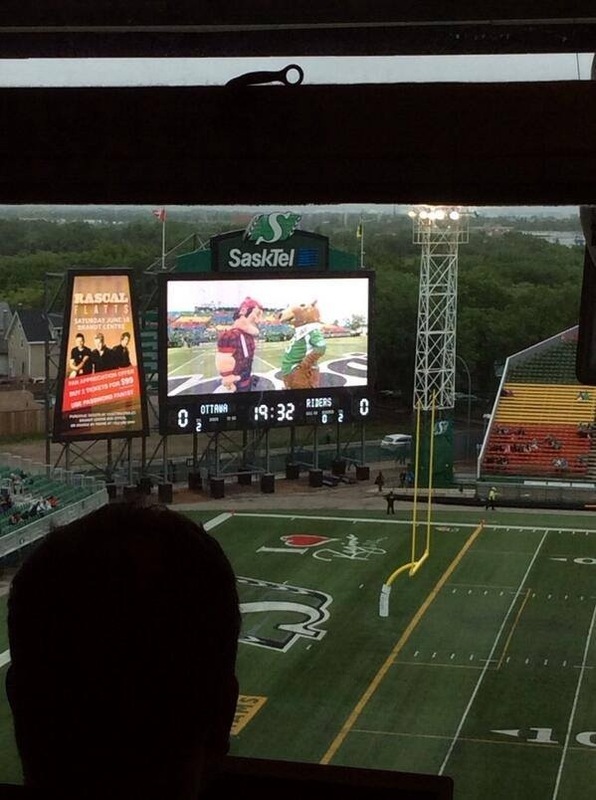 Hopefully people continue to support it so that it is heard over the sound system at TD Place at Lansdowne. 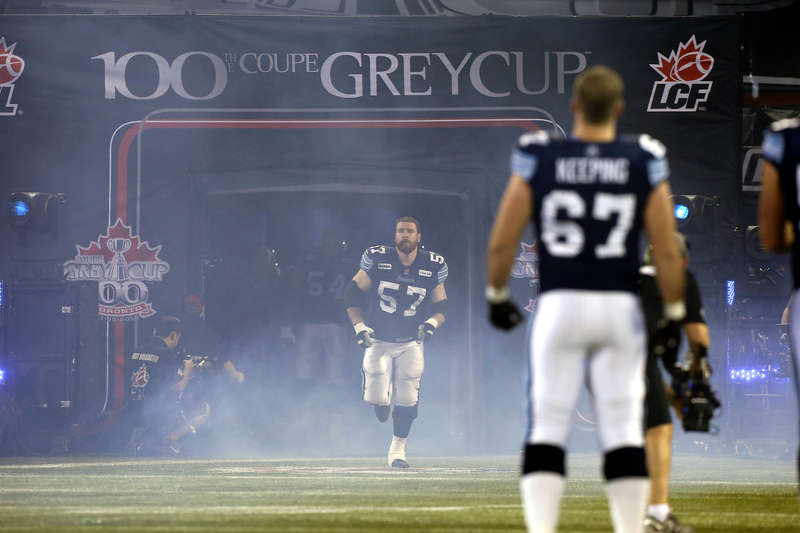 Are you guys big CFL fans, or was this just a case of being in the right place at the right time? 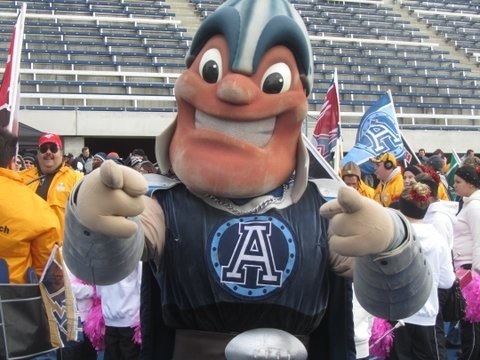 I wouldn’t say that I am a big CFL fan…yet! Reason being that I don’t like hopping on any other team’s bandwagon and cheering for anyone but Ottawa. 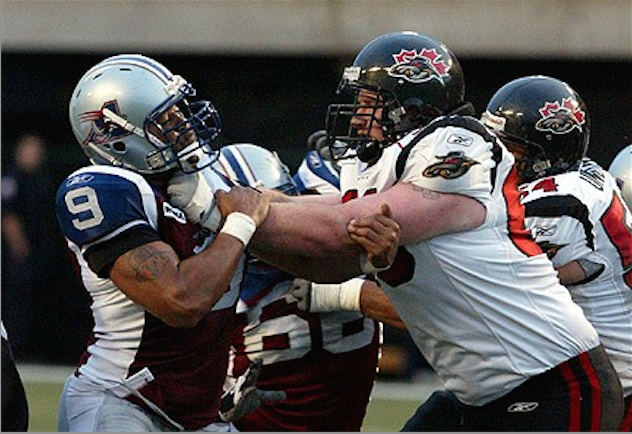 I was pretty young when the Rough Riders left in ’96, and the year the Renegades left was when I was hoping to attend my first live football game at Lansdowne. 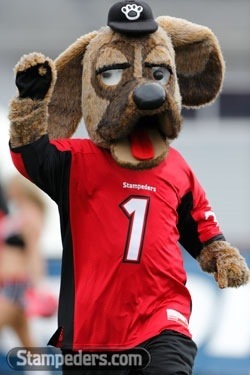 With the announcement that the Redblacks were coming in 2014, I jumped at the chance and got season tickets on the new south side. Lucas, on the other hand, due to his being visually impaired (many people have expressed shock when we tell them this detail!) is not able to observe sports the same way you or I do. Regardless, he does enjoy supporting his home town teams and maintains a high spirit each and everyday that I have known him. 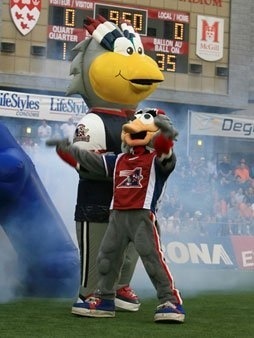 What’s your favourite Lansdowne memory? 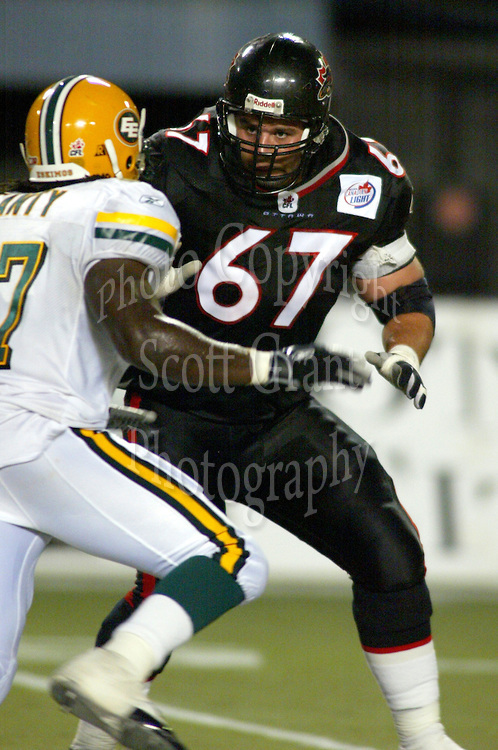 Having missed out on CFL games growing up, my favourite Lansdowne memory would have to be with the 67’s. There was one season (2000-2001 season) where the team went on a tear and won the OHL championship trophy (the J. Ross Robertson Cup). 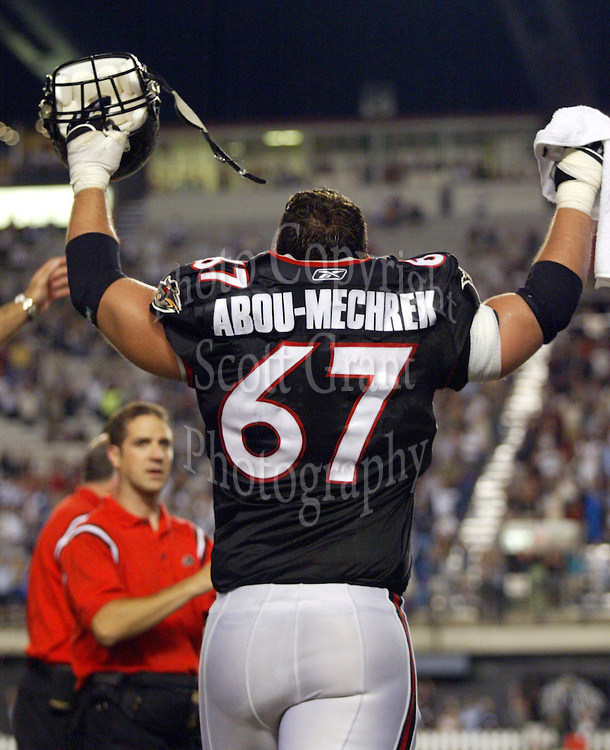 I always enjoyed, at the end of each game, having a chance to meet the players and collect signatures. I still have my signed pennant on the wall from guys such as Jon Zion, Joey Talbot, Zenon Konopka and Brendan Bell. 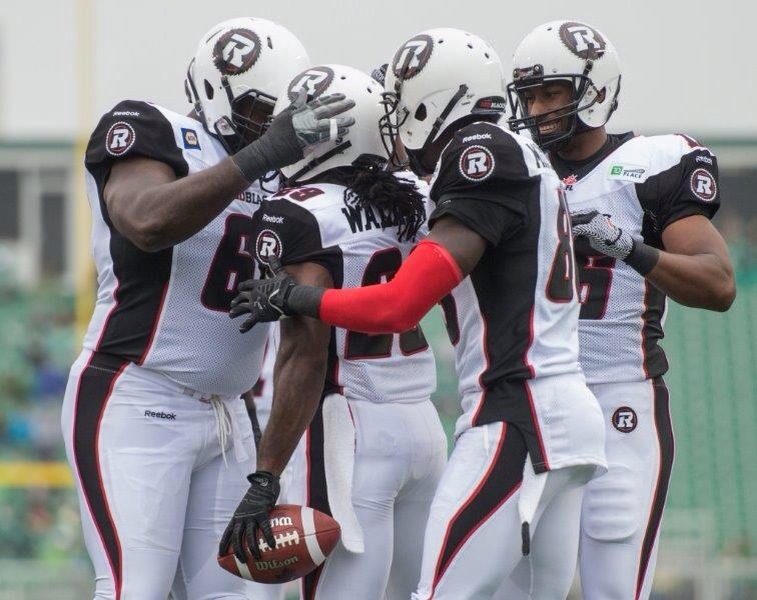 Which Redblacks player are you most excited to see take the field next year and why? 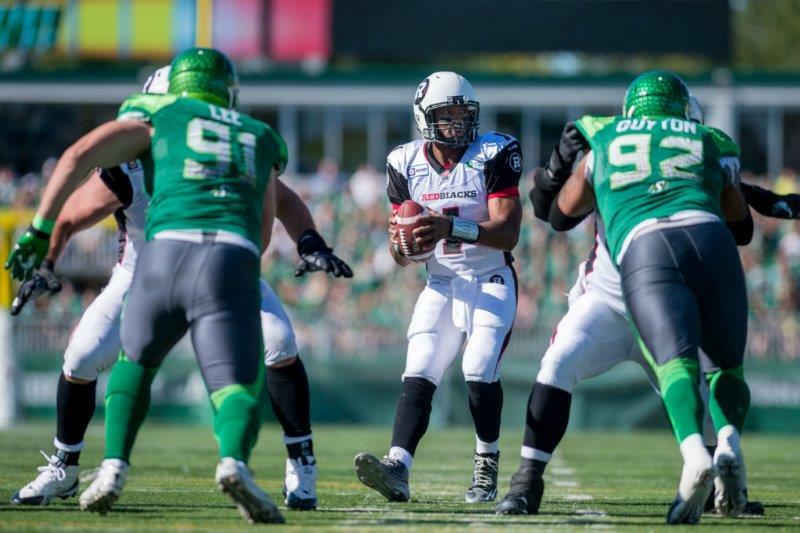 The Redblacks player that I am most excited to take to the field this coming season would be either Henry Burris or John Delahunt. 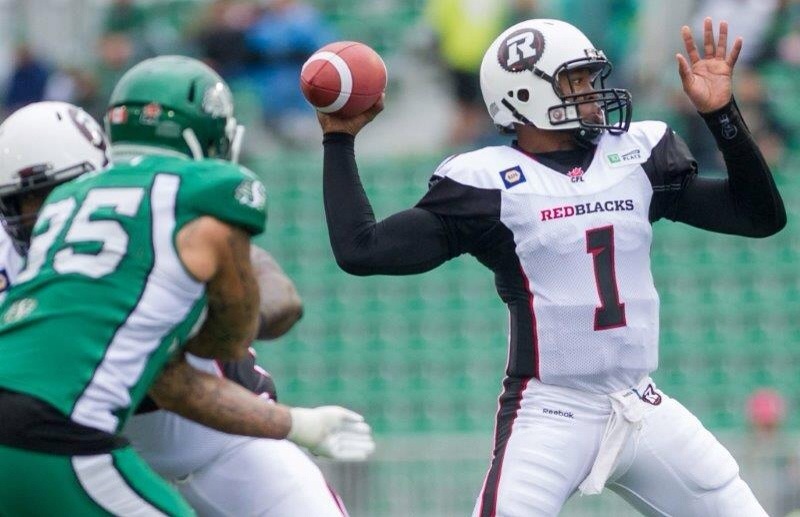 It will be interesting to see if Burris can shake off both last year’s Grey Cup loss and the expansion woes of a new team. Plus, he seems like such an awesome, likeable guy! 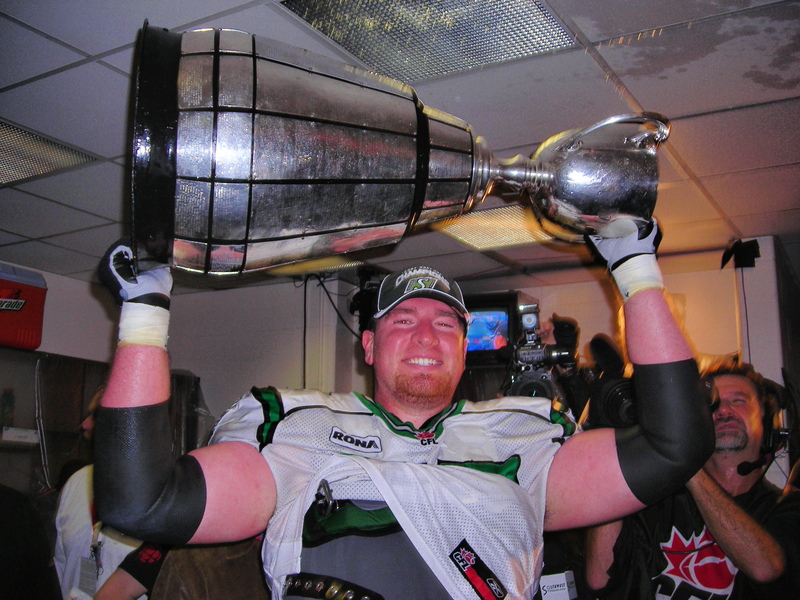 John Delahunt was with Hamilton last year and is a local guy who played with the Kanata Knights/Ottawa Sooners – it’s hard to not cheer on a guy from your home town! How will you follow this song up? 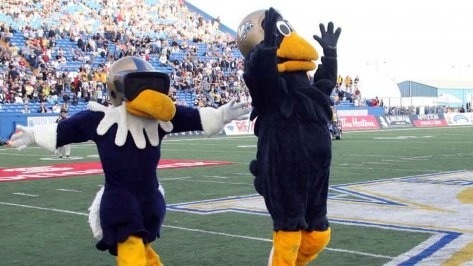 Are you guys planning on making any more Redblacks related music? I would love to follow this theme song up with something else. Some of the comments we have received have been ‘negative’ in that we didn’t make the video funny enough or have ‘creative lyrics.’ That was never the point of this particular theme. 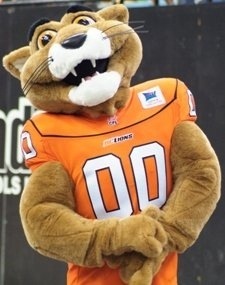 It was always about being a predominantly instrumental piece that incorporates the team name in a chant to get both players and fans alike pumped before a game. Maybe eventually we can make a funny chant or something. I would love to make use of the saw blade sound effects for something else! That was a good time incorporating that with the music theme. Any chance of a parody video in the works? Chances of a parody video? It might be something fun to do down the line. I would be open to suggestions! 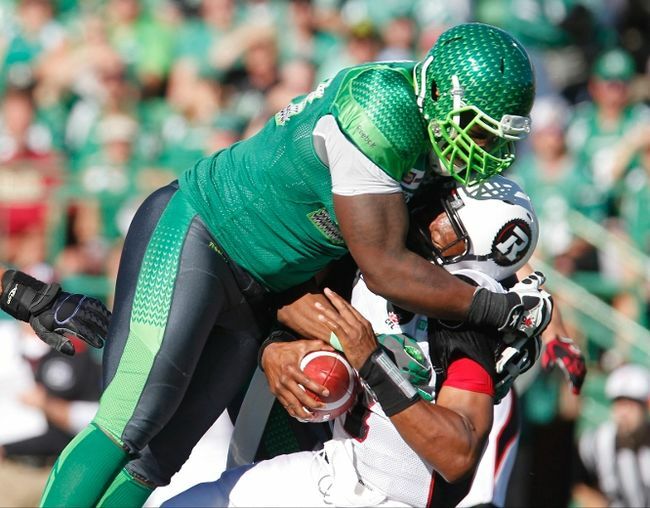 Would you recommend watermelon smashing as a good stress reliever for other Redblacks fans? Haha, watermelon smashing is definitely a good (yet, costly!) 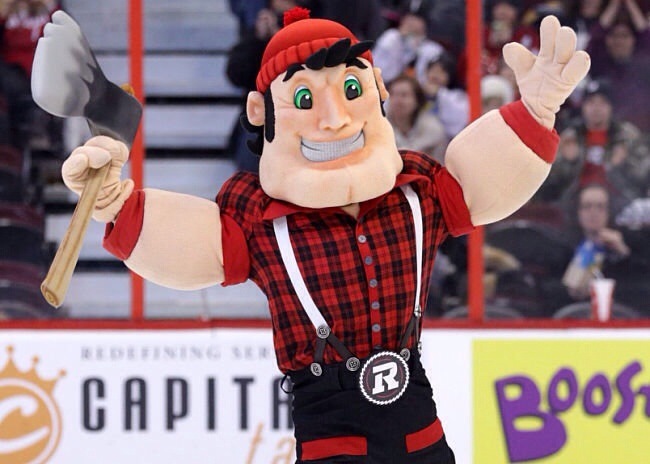 stress reliever for Redblacks fans. 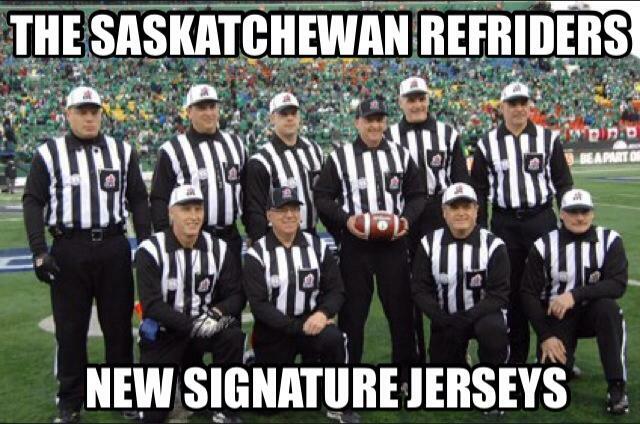 Seeing as Saskatchewan is only in town once/twice a season, something else may need to fill in. Stomping on stuffed tiger kitties, perhaps? Where can people go to check out more of your music? I am mostly a video guy but some of my work can be found on YouTube as well under “Nevill Carney”. I split my time in Ottawa/Toronto and work for Discovery on the show “Mighty Ships” while in the Big Smoke. 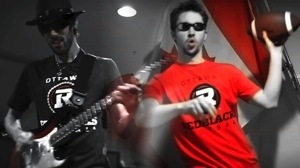 Thank you very much for your time and I hope to see more Redblacks related songs in the future!